Today I'm sharing another Holiday Gift Idea but this one is for Halloween!!! 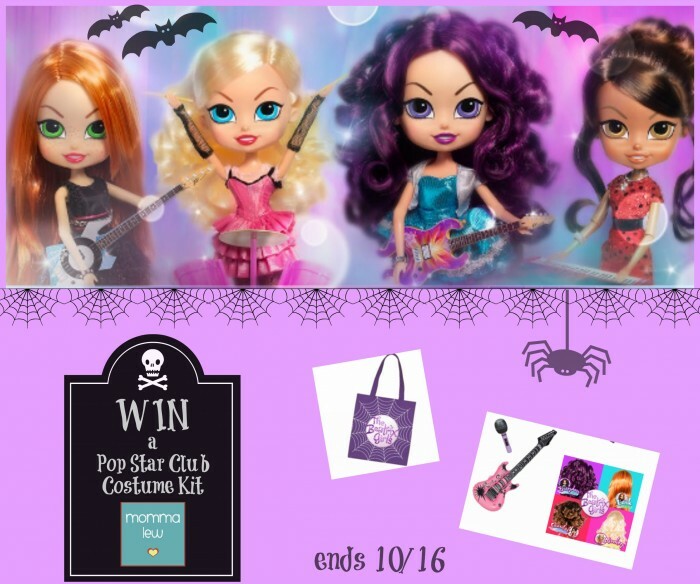 Do you have any fans of The Pop Star Club's The Beatrix Girls in your home? If so this is one hot costume kit for some lucky girl. Take advantage of all the entries and get them today! Excited? Good! To enter, follow the steps in the entry form below. This giveaway is open to US residents, 18+, one entry per household. Giveaway will end on 10/16 at 11:59pm. I'd like to win this to bring to the kids at my local Ronald McDonald House. I would like to win it for a neighbor's daughter. She would get a kick out this. My daughter would love this costume kit!